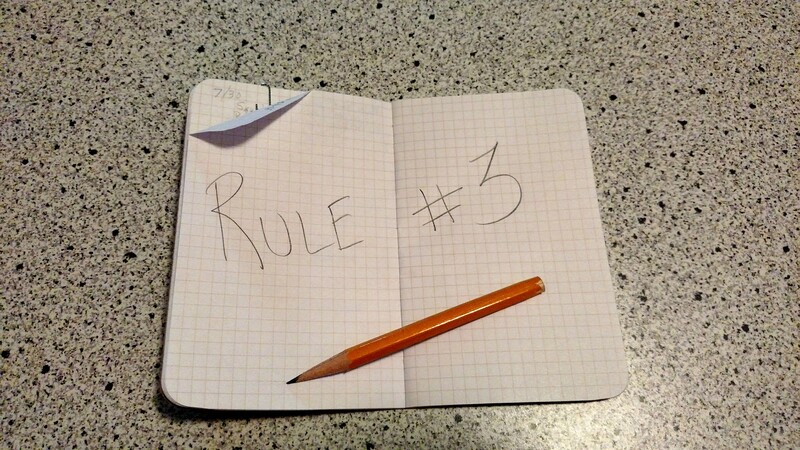 Rule #3. Start now, not later. But thinking like that, most people never actually get started. Instead, they keep planning. Once the work schedule is balanced, once there is more time and money, and once steps three and four are figured out, there will always be some other aspect of the plan to figure out. If you wait until the plan is complete, you’ll be waiting a long time, and even then, the more detailed your plan is the more likely to encounter something for which you didn’t plan. So if you’re waiting to start until you have a perfect plan, you will be waiting for eternity. This isn’t to say that you can’t, or shouldn’t, plan. You should. But most of the time, all you need is the outline and the first step or two to get started. You don’t need a detailed map or dossier. Just get started. Even with a plan, you can’t actually know if things will work out. There is no way of knowing until you actually try. So start now, not later. The time you spend working out every last detail beforehand will be better spent actually working on the project at hand. You can spend a year planning, or a year doing. Only one of those will reap actual results. You can work out the plan while you’re working towards the goal. This will keep the plan flexible, adaptable, and in touch with the necessary actions as well as keeping you actively pursuing the goal instead of just thinking about it. So start now, not later.